DALLAS, May 24, 2017 – This summer, eight national companies are raising money to help fight cardiovascular diseases and stroke. Between now and August 2017, these companies are encouraging customers to donate to the American Heart Association’s Life Is Why We Give™ fundraising campaign through select online or in-store point-of-sale purchases. “The American Heart Association provides amazing resources that help people take control of their health, from tips on how to make better food choices to support groups that provide encouragement to continue with positive lifestyle changes,” said Amy Magan, 2016 winner of the American Heart Association’s #GoRedGetFit Facebook challenge. Magan turned to the American Heart Association for guidance after she learned she may have to go on insulin to treat her Type 2 diabetes. What she found was an online support group that set mini-health goals for members and provided information about how to make a healthy lifestyle a little easier to maintain. Since joining the group, she’s lost over 70 pounds and no longer requires blood pressure medication. To learn more about Life Is Why We Give™ visit www.heart.org/lifeiswhywegive. Donations may also be made directly to the American Heart Association by visiting www.lifeiswhy.org/donate. Nearly 80% of every dollar donated to the American Heart Association is used to fund research, education programs and conduct community outreach. The American Heart Association has funded $3.7 billion in research since 1949, trains approximately 2 million high school graduates in CPR every year and has reduced cardiovascular disease mortality by 70% since 1968. 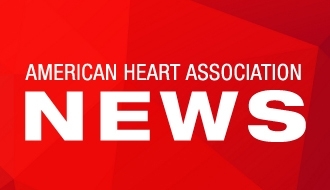 The American Heart Association is urging Americans to unite in support of healthy living and the American Heart Association by participating in campaigns led by supporters around the country – including making a donation at participating companies, purchasing specialty products to benefit the AHA, attending fundraising events and more. Life Is Why We Give allows consumers to think about their reasons to live healthier, longer lives and to give in honor of those reasons. Too long, heart disease and stroke have stolen our precious moments. In February, we fight back together and affirm that we’re more powerful than these diseases… because everyone has a reason to live a longer, healthier life… and that reason is why we give.